Regulations and Industry Best Practice for preparation. Operator maintenance and pre-work checks. Organisation of work area; safe operation, conversion to transport position. 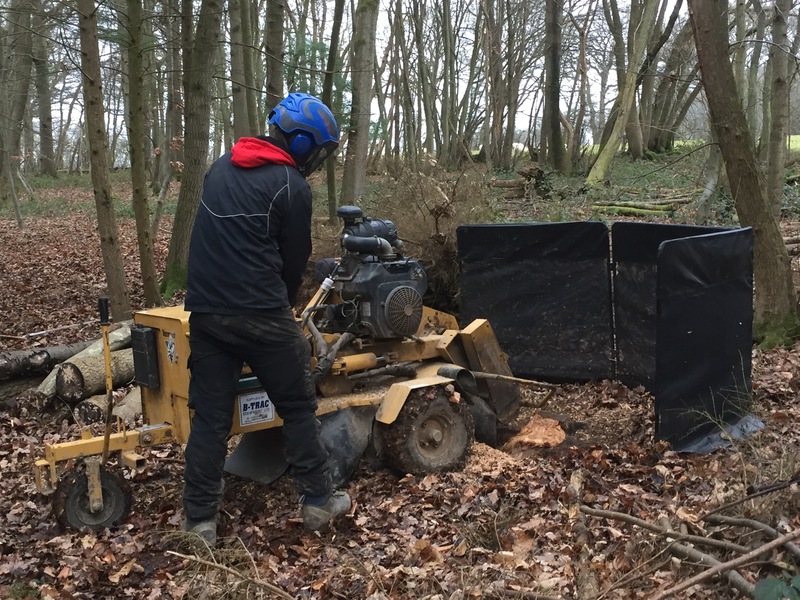 · Produce a site specific risk assessment for stump grinding operations. · State the principles of HSE legislation and safety guidelines for using a stumpgrinder. · Select the appropriate PPE and state the maintenance requirements. · Carry out operator checks and identify the safety features of a stump grinder. · Carry out routine operator maintenance. · Inspect and identify defects on the grinding mechanism. · Prepare machine prior to operation, start the machine, carry out safety checks and stop machine. · Prepare a work area and a range of stumps for grinding and identify hazardous materials not to be ground. · Use approved techniques for safe and efficient stump grinding of a range of stump sizes. · State the procedure for removing blockages. · Re-instate ground and deal with arisings. Fantatsic day, fully packed with knowledge and delievered perfectly. Very good practical course, well presented and covered all aspects of grinders and stump removal. Good balance of theory and practical. Well organised, informative and enjoyable training exercise.